12 Netflix Romance Movie/Series To Watch With Your Bae This Valentine! 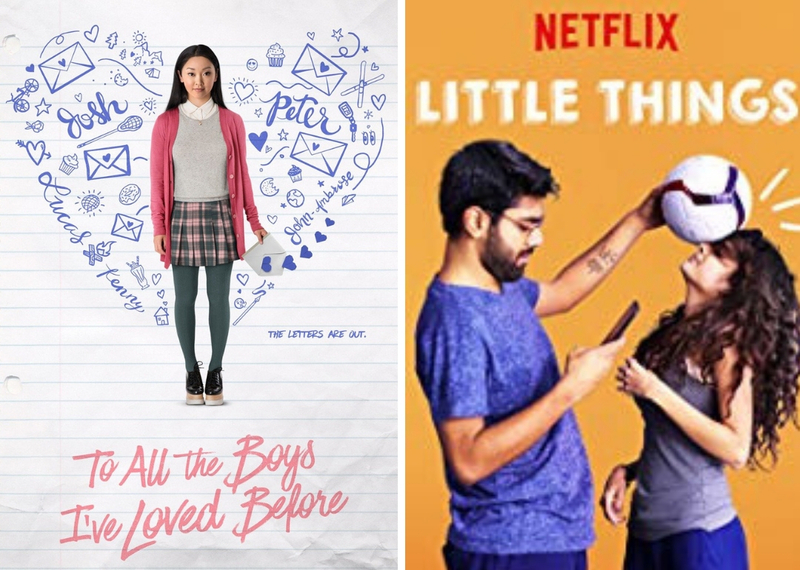 12 Netflix Romance Movie And Series To Watch With Your Bae This Valentine! Netflix romance movies are hot-selling this love season! Not sure what we are talking about? Well, with Valentine’s Day around the corners, we have got some romantic recommendations for all the couples out there. If you are the kind of couple who would any day choose Netflix and chill over an overrated candlelight dinner then you are at the right place. There is nothing more romantic than cuddling with your partner and binge-watching some romantic movies and series. If you guys are ready with a big tub of popcorn and some sweet chocolate coated strawberries, we are ready with the list of the most romantic series and movies available on Netflix. 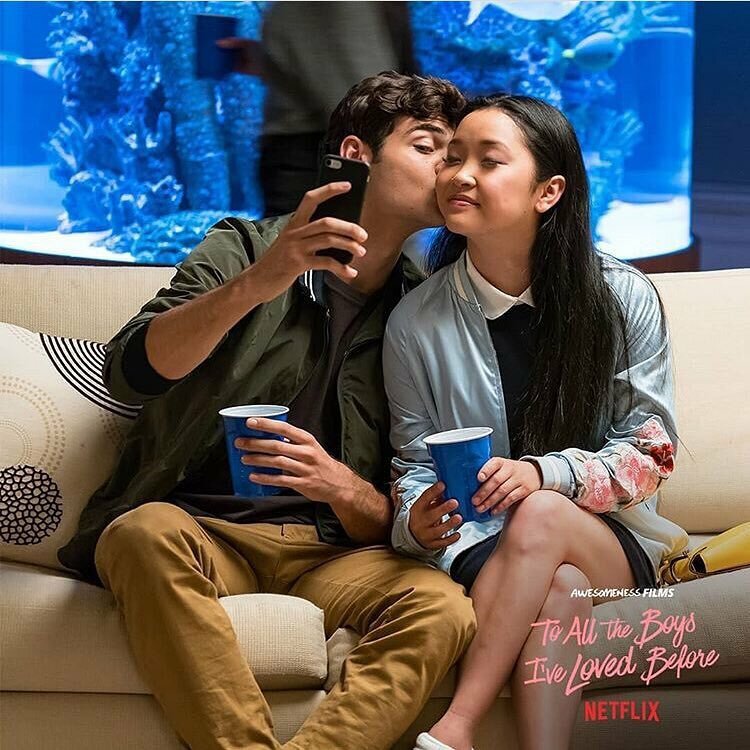 To All The Boys I’ve Loved Before became everyone’s favourite the moment Netflix announced its release. The movie is about a shy teenage girl who wrote five love to five different guys on whom she once had a crush. Her way of preserving her powerful emotions become her high school drama when those letters get out. She starts a fake relationship with the school jock, Peter Kavinsky but things take a different turn. Find out what happens with Lara Jean Covey in this teenage love story. 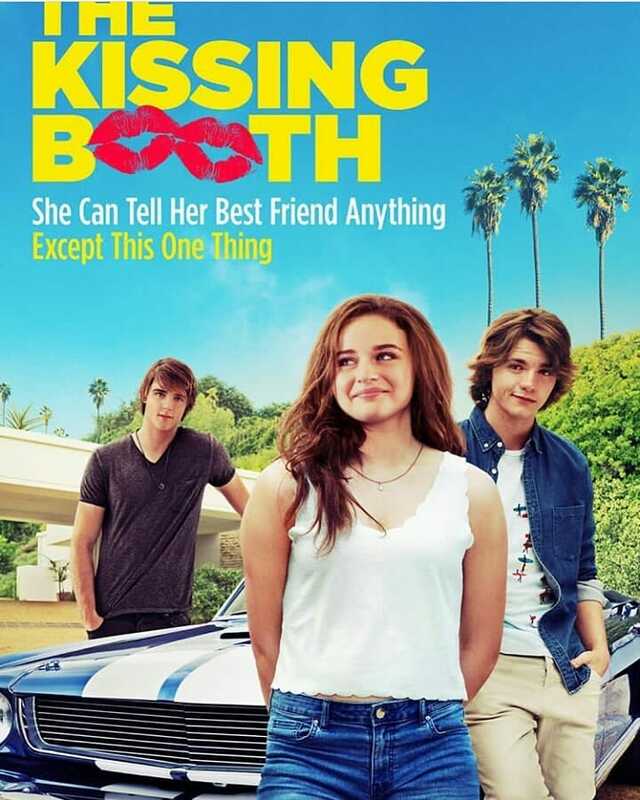 Another Netflix original movie that is loved by everyone is The Kissing Booth. This romantic flick is about the rules of friendship that two childhood friends swear by in order to protect their beautiful relationship. The most important one is that you are not allowed to date the other’s relatives. Things get messy between the best friends when Elle falls in love with Lee’s older brother Noah. This movie is about friendship and love which is all you need to celebrate Valentine’s Day. Music is the true form of love and that is what brings Nick and Norah together in the movie. Nick is head-over-heels in love with the most popular girl in the school who only pretends to have an interest in him. He gives her a lot of mix CDs and she never pays attention to that. It is Norah who actually listens to them and they soon realize that they both love the same band, the Fluffy. They spend an entire night with their friends to find the Fluffy and fall in love with each other. It is a beautiful movie to watch with your partner on Valentine’s Day. 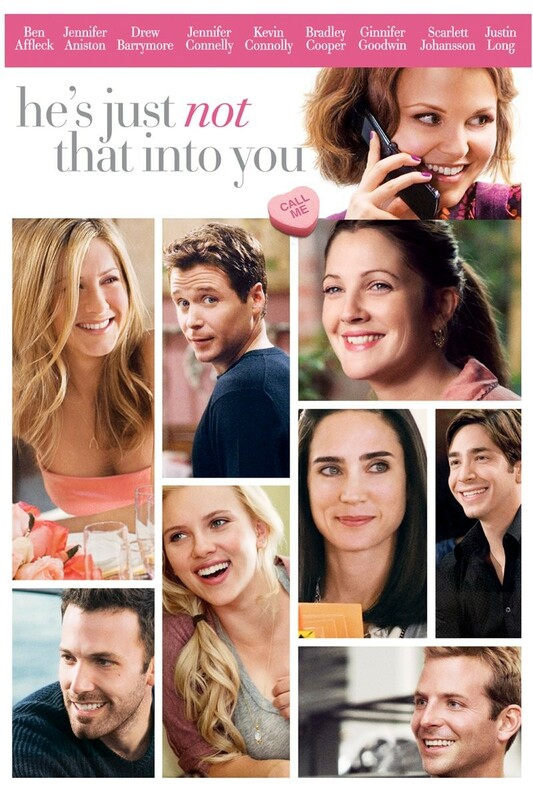 So, guys keep making a note of these Netflix romantic movies handpicked by us? When Cal learns that his wife wants a divorce, he reluctantly faces the prospect of single life with the counsel of a smooth young bachelor. He seeks to rediscover his manhood with the help of a newfound friend, Jacob, learning to pick up girls at bars. Explore this extraordinary love story together with your love this Valentine’s day. 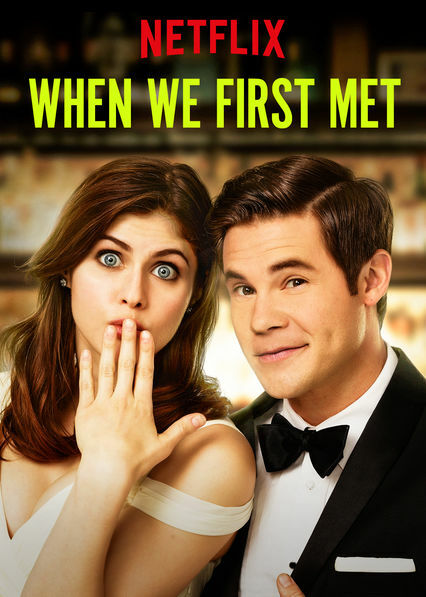 My Perfect Romance is the perfect Valentine’s Day movie that you can watch on Netflix. The newly appointed CEO of Robinson Tech, Wes Robinson is warned by her mother that his company is losing market points and he needs to come up with new ideas to prevent that. Company’s programme developer suggests that they can develop a dating app based on a scientific algorithm of compatibility. They are challenged to try it themselves and this changes their life forever. The worst kind of zone in the world is friendzone! Avery and Noah meet at a Halloween party and hit it off instantly. They spend the night having fun and when Noah thinks that Avery will kiss him, she hugs him instead and friendzones him. She meets Ethan the next day and falls in love with him. Three years later, Avery and Ethan are getting married and things are hard for Noah. He goes to the photo booth where he and Avery first shared a moment and travels back in time. He wants to win Avery’s heart. If this storyline is not enough for you, Robbie Amell will do the rest! So, are you too slowly falling for these Netflix romantic movies already just like we did? Trust us, they are all worth it! 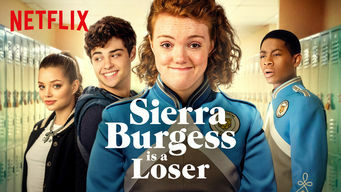 A body-positive and confident teenager, Sierra gets a text from Jamey who thinks that he is texting the head-cheerleader, Veronica. The case of mistaken identity makes them fall in love with each other and the mean girl Veronica helps Sierra in keeping her identity secret and ends up becoming her best friend. Jamey finds out the truth in a way that breaks everyone’s heart. We know that love conquers all and that is what this movie is about. 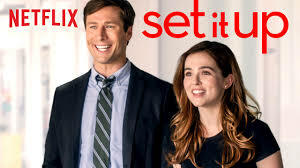 Set It Up is the story of two assistants, who are tired of being on the beck and call of their bosses. In order to get a life of their own, they decide to set their bosses up. Their plan works and their bosses decide to get married. However, they soon find out that one of them cheated on the other. The dilemma of whether to tell them the truth or not breaks their friendship and a possible love story. What happens next is for you to find out. “The Sweetest Thing” will always remain in the list of must-watch Netflix romance movies. The story revolves around the life of the protagonist, Christina. She fell for a guy named Peter but she knows nothing about him except that his brother is getting married. Realizing that Peter is perfect for her, she decides to crash the wedding and find him. 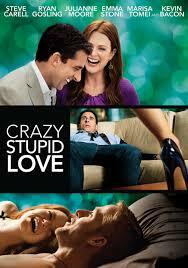 Love is crazy and knows no boundaries and this movie is surely an example for the same. This American romcom film is meant for a Valentine viewing. Don’t go looking for heart-tugging romance and you won’t end up disappointed. This movie is about four men and five women in Baltimore who struggle to keep their love lives alive. The story takes the viewers down their heartbreaks and how they dealt with the complexities of relationships. Owning a house can be more difficult than finding true love in big cities. Two people who have always dreamt of having their own house cross paths and realize that they do it only when they do it together. They apply for a home loan as a couple and find love in the reverse gear. While for most couples it is love, wedding and home; for Sanjay and Karina, it is the other around! 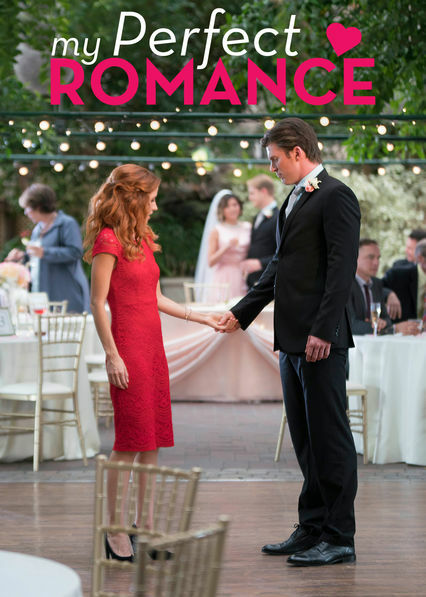 Also, make a note of this Netflix romance series which are equally a treat for the lovebirds. 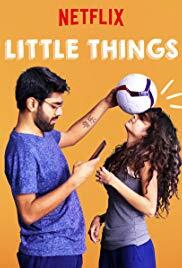 Little Things is one of the best unconventional Netflix romantic movies/series. This Hindi series is very different from the daily soaps that run on Indian television. It is about an ordinary couple from Mumbai who is in a loving relationship. 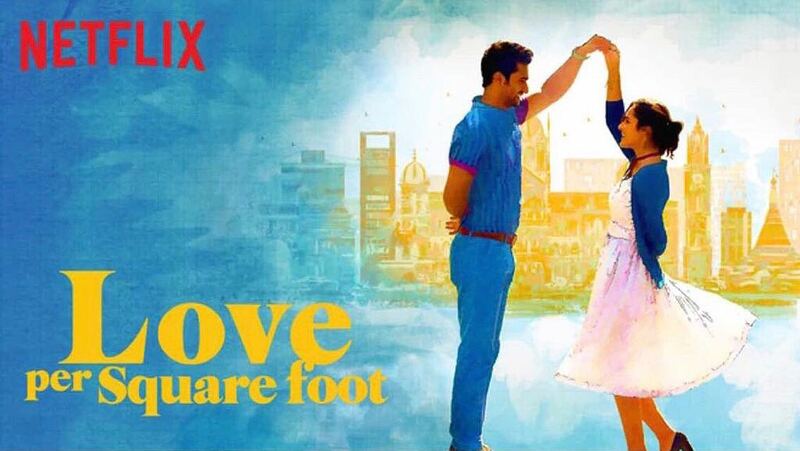 This relatable series shows how two common people work hard to make their ordinary love story extraordinary. So, all sorted for your Valentine’s day plans? We are sure these Netflix romantic movies and series will keep that love flame ignite throughout. Happy Valentines Day! Also, know how to celebrate Valentine’s day at home here. #Trending: Ishq Is Definitely “Mitha” With The Wedding Song Of The Year 2019!